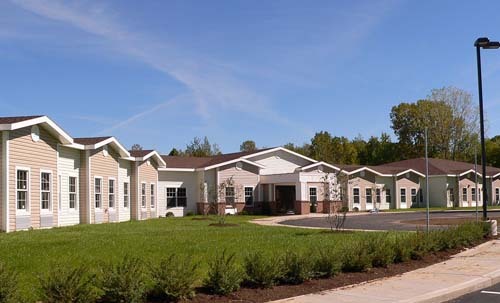 OSWEGO – When St. Francis Commons Assisted Living Residence opens, not only will Oswego County be introduced to the first New York State licensed assisted living program, a new Memory Care program will also be a unique service offered to the community. When open St. Francis Commons Assisted Living Residence will be Oswego County’s only New York State licensed assisted living program serving the community. St. Francis Commons will also feature a dedicated Memory Care neighborhood, caring for individuals with a mild to moderate diagnosis of a dementia-related illness like Alzheimer’s disease. Specialized training for St. Francis Commons staff by the Alzheimer’s Association, Central New York Chapter, is being made possible through a grant from the Gifford Foundation. A 14-bed neighborhood within the new residence, Memory Care at St. Francis, will serve individuals diagnosed with mild to moderate dementia-related illness, like Alzheimer’s disease, who will benefit from a community-based living environment with specialized supportive services. The Memory Care neighborhood will be one of three accommodating St. Francis Commons residents. The neighborhood will feature all of the amenities provided throughout other neighborhoods for residents to use and enjoy, with a little more, noted Julie Chetney, Senior Living Coordinator. Some of the features unique to the Memory Care neighborhood will include elements that help support activities of daily living, help increase personalization and support autonomy while achieving appropriate levels of stimulation and promoting orientation and socialization. Many of the elements to be included will reflect an “Explore Oswego” theme. They include period memorabilia, historical and scenic local photos, artwork, and wall murals of local outdoor scenery from photographs. An enclosed courtyard area adjacent to the St. Francis Commons Memory Care neighborhood will provide secure access to outdoors. What will make Memory Care at St. Francis a safe and unique experience for residents will be the specially trained staff providing care will undergo. Through a grant from the Gifford Foundation, St. Francis Commons will be partnering with the Alzheimer’s Association, Central New York Chapter to provide education and training in the care of individuals with a dementia-related illness. 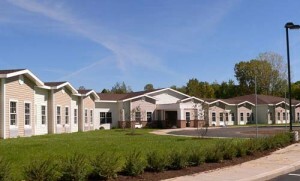 St. Francis Commons will be the only senior care residence in Oswego County offering New York State licensed Assisted Living Program services and amenities; the residence will provide supportive housing and care at a level that is less than a nursing home but more than may be found in an independent setting. Chetney encourages anyone with questions or those interested in beginning the residency application process to contact St. Francis Commons by phone at (315) 326-0870, by email at [email protected], or you can download an application by visiting the St. Francis Commons website at www.stfrancicsommons.com; click on the “Assisted Living” tab. Once a completed application is received an appointment is scheduled to complete the process. Services at St. Francis Commons will include three meals a day, housekeeping with linen and personal laundry services, scheduled transportation, social programs, assistance with personal care and medication management. A Hair Salon, Gift Shop, as well as cable television and telephone connections in each room are some of the amenities to be offered. St. Francis Commons will accommodate sixty individuals in three “neighborhoods” within the residence. Private payment, Medicaid, private insurance reimbursement and Supplemental Security Income will be accepted. The St. Francis Commons project is the latest phase in development on the St. Luke healthcare campus. The campus consists of 15 acres and includes St. Luke Health Services, Bishop’s Commons Enriched Living Residence and Little Lukes Childcare Center. Funding for construction of the $9.1 million assisted living program residence includes an $8 million HEAL-NY grant through the New York State Department of Health. Additional financing for the project has been made available through Operation Oswego County, the Oswego County Industrial Development Agency, the New York State Housing and Community Renewal and U.S. Department of Housing and Urban Development Community Development Block Grant Program, the City of Oswego’s Office of Community Development, Pathfinder Bank and the St. Luke-John Foster Burden Fund.